I have been in-between a solid video game for the past few weeks. The Division has lost my interest and I am hoping that a future update may bring me back to it. I have been dabbling here and there with a few different games. I played quite a bit of the Overwatch Beta that occurred a couple of weeks ago.That game is a ton of fun and has a lot of the same sort of hooks that TF2 had when it came out. While gorgeous and a ton of fund to play, I don't see myself necessarily picking it up right away. For some reason I never came away from the game "craving" for the next time to play. This past weekend had another Splatfest for Splatoon and I I ended up playing a lot of that this weekend. I had forgotten how good that game really was, and they have continued to add more maps and more weapons to the game. There has to be over thirty different load outs now for the maps. Tons of fun and it actually scratched my area shooter itch that Overwatch was going for. My biggest thing though was that I have been playing some indie games as of late. I finally finished The Fall, which was from the last Humble Nindie Bundle from last fall. 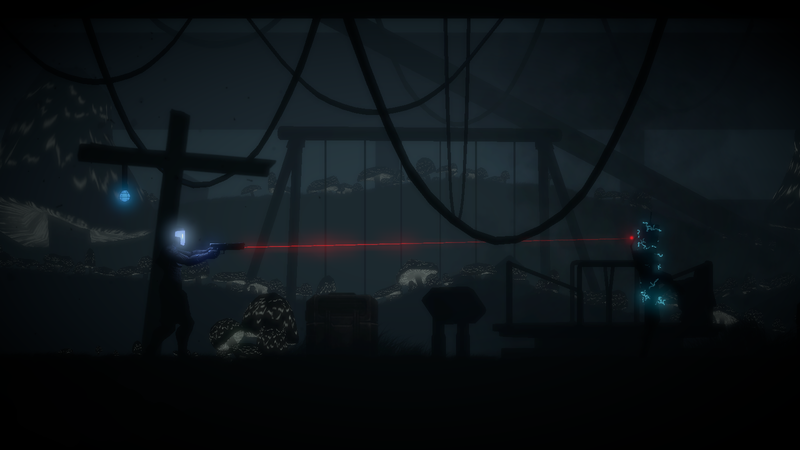 The Fall is a cool adventure game where you are an AI in an environment suit trying to save the life of the body inside. You are stuck in a recycling facility that is trying to tear you apart. The game has some great atmospherics and the puzzles are decent, but there were several occasions where I had to basically "try everything" in my inventory to see what would solve a puzzle. Solutions were not always intuitive, but the game was probably 6-8 hours in length total, so it was a good time while it lasted. I briefly also played "Affordable Space Adventure" this weekend two for an hour or so. This was in the most recent Humble Nintendo Bundle and a game that has received a lot of praise when it came out. It is a Wii U exclusive and makes fantastic use of the touchpad for having controls and even sounds just on the pad to supplement the game. I am just pas the tutorial section, so I'll have to see how that one plays out over the next few days.